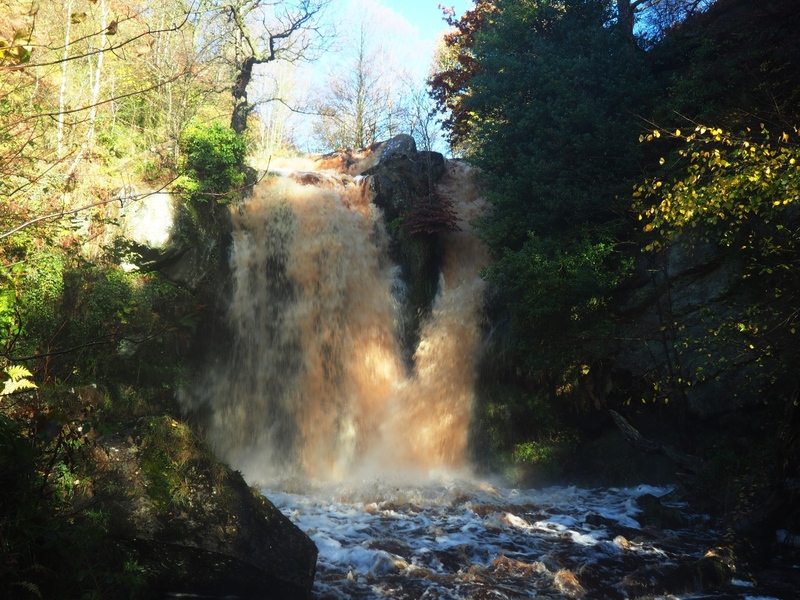 The two Posforth Gill Falls are a pair of fine waterfalls situated in Posforth Gill near the popular Cavendish Pavillion car park on the Bolton Abbey Estate. 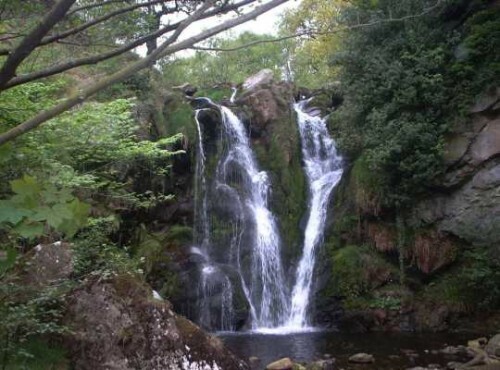 Both of the Posforth Gill falls require a slight detour from the main footpath above and alongside the gill which is a popular route up on Simon’s Seat. The more impressive of the two waterfalls is the lower one which has a fine drop of several metres. The first time I visited the two waterfalls was way back in 2004 and I didn’t return again until 2015 in very different conditions. After heavy rain the first waterfall was a simply awe inspiring site. 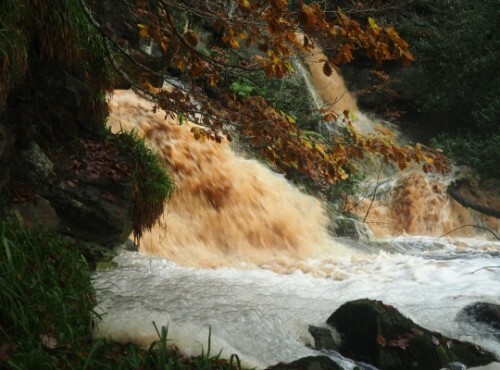 Witnessing the stream in spate conditions it became easy to imagine the storm surge in 1836 that caused so much damage that the gill was called ‘The Valley of Desolation’. In normal conditions the second waterfall isn’t a problem to reach but due to the amount of water on my second visit it wasn’t easy to get a good view of. In the end I had to carefully make my way through some trees and holly to get a sideways view. Although not as high as the earlier fall this was one was equally impressive with the torrent of water coming down the fall creating a pool of froth and bubbles.